Some playhouses had multiple levels, and all differed in design and imagination. The playhouses will be on display at Nottingham Park in Avon until July 21. A welcome sign in one of the seven The Vail Board of Realtors presents the town of Avon's Playhouse Project playhouses during the ribbon cutting and dedication on Thursday, June 14, in Avon. The playhouses were built by local builders and sponsored by local businesses. 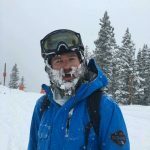 They are being auctioned off to benefit St. Jude Children's Research Hospital, the Vail Board of Realtors Foundation and Habitat for Humanity Vail Valley. The insides in some were as cool as the outside for the Vail Board of Realtors presents the town of Avon's Playhouse Project during the ribbon cutting on Thursday, June 14, in Avon. The builders were each given $1,000 for their project. 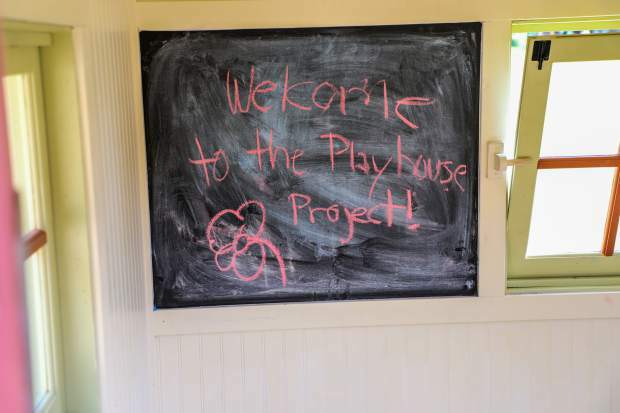 Play is encouraged for the in the playhouses for the Playhouse Project in Avon. 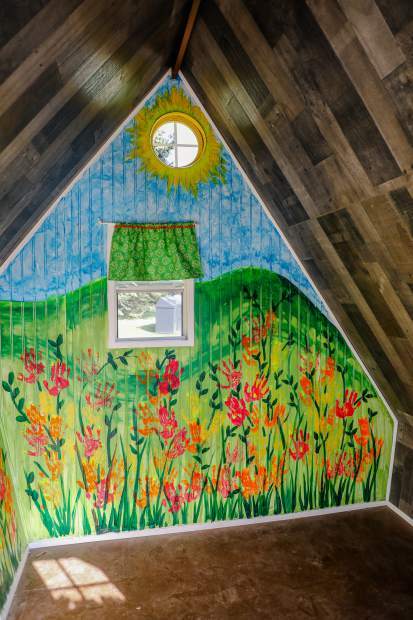 The seven professionally designed playhouses will be on display at Nottingham Park in Avon until July 21 before being auctioned off to charity. 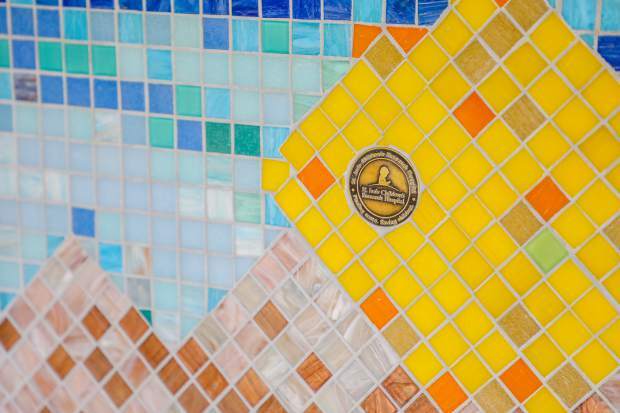 Each playhouse is embedded with a commemorative coin from St. Jude Children's Hospital. 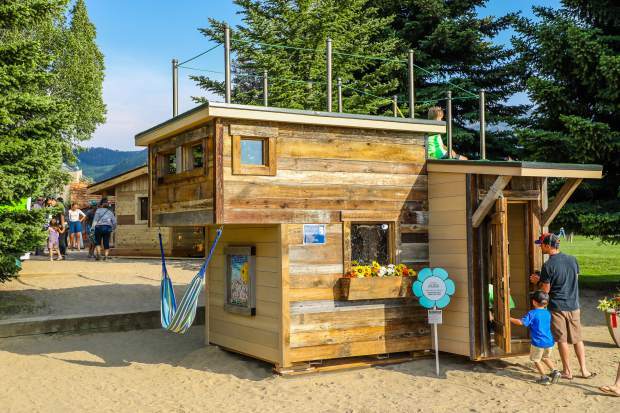 Seven playhouses for the Playhouse Project will be auctioned off to St. Jude Children's Research Hospital, the Vail Board of Realtors Foundation and Habitat for Humanity Vail Valley. 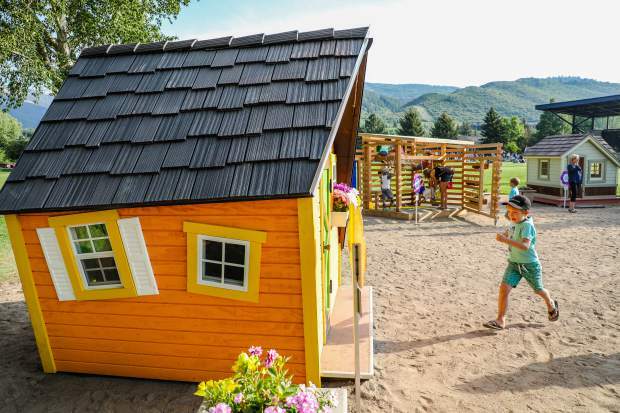 What: Vail Board of Realtors presents the town of Avon’s Playhouse Project. 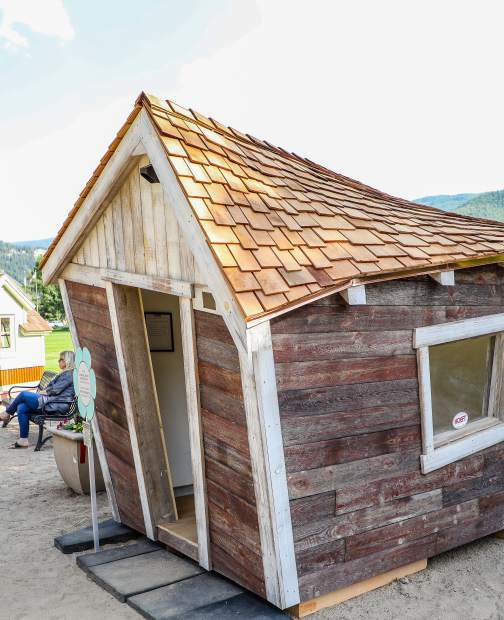 When: Playhouses were unveiled Thursday, June 14, and will remain in place until Saturday, July 21, when they will be auctioned off to raise money for St. Jude’s Research Hospital, Habitat for Humanity Vail Valley and the Vail Board of Realtors Foundation. Where: Harry A. Nottingham Park, Avon.